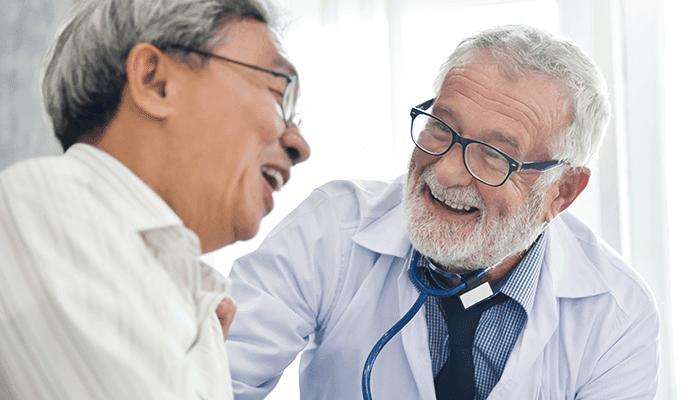 The physical exam, combined with all of your test results, will help to determine the type and stage of cancer you have. Staging is used to guide your treatment plan. Like other cancers, stomach cancer is staged from I to IV. Stage I is a very localized cancer, while stage IV indicates a spread to other parts of the body. Cancer treatment varies depending on the stage and type of cancer. Stomach cancer is most often detected in the later stages. A combination of therapies may be more effective. For example, surgery may be used in conjunction with chemo- or radiation therapy. Endoscopic mucosal resection—This surgery is generally done in the early stages where the tumor is removed through an endoscope. Subtotal gastrectomy—This is the removal of the lower part of the stomach, leaving part of the stomach to reattach to the esophagus and small intestine. Total gastrectomy—This is the removal of the entire stomach. It often includes removal of nearby lymph nodes. The esophagus is attached directly to the small intestine. This is the use of high-energy rays to kill or shrink cancer cells. Radiation therapy may be used after surgery to destroy cancer cells that could not be seen or removed during surgery. 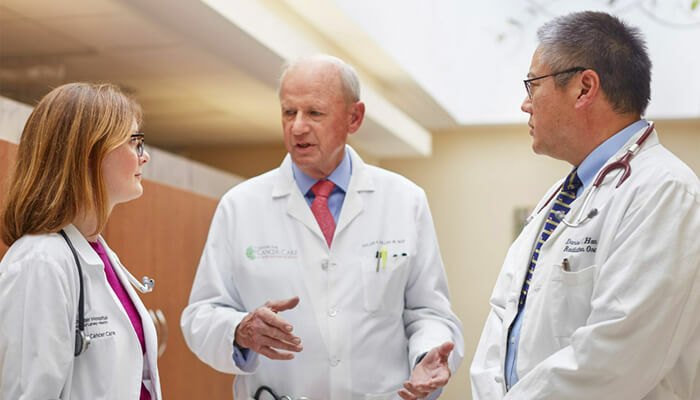 In cases where stomach cancer has spread, chemotherapy combined with radiation therapy may increase the chance of survival and reduce the risk of cancer returning. Chemotherapy is the use of drugs to kill cancer cells. It may be given in many forms including: pill, injection, or via a catheter. The drugs enter the bloodstream and travel through the body killing mostly cancer cells, but also some healthy cells. Follow your care plan for any health problems such as H. pylori infection or GERD. Avoid diets high in salted, pickled, and smoked foods. Eat at least 5 servings of fresh fruits, vegetables, and whole grain foods a day. Avoid or drink alcohol only in moderation. This means 2 drinks per day for men and 1 drink per day for women. Gastric carcinoma. EBSCO DynaMed Plus website. Available at: https://www.dynamed.com/topics/dmp~AN~T116155/Gastric-carcinoma . Updated September 15, 2017. Accessed October 10, 2017. 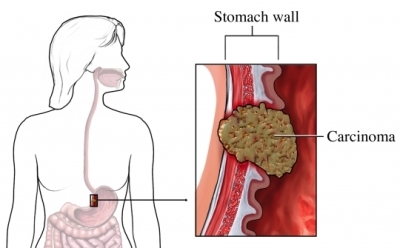 General information about gastric cancer. National Cancer Institute website. Available at: https://www.cancer.gov/types/stomach/patient/stomach-treatment-pdq#section/%5F1. Updated April 27, 2017. Accessed October 10, 2017. Ménétrier disease. National Institute of Diabetes and Digestive and Kidney Diseases website. Available at: https://www.niddk.nih.gov/health-information/digestive-diseases/menetriers-disease. Updated March 2014. Accessed October 10, 2017. Stomach cancer. American Cancer Society website. Available at: https://www.cancer.org/cancer/stomach-cancer.html. Accessed October 10, 2017. 4/29/2011 DynaMed Plus Systematic Literature Surveillance https://www.dynamed.com/topics/dmp~AN~T116155/Gastric-carcinoma : Zhou Y, Zhuang W, Hu W, Liu GJ, Wu TX, Wu XT. Consumption of large amounts of allium vegetables reduces risk for gastric cancer in a meta-analysis. Gastroenterology. 2011;141(1):80-89.